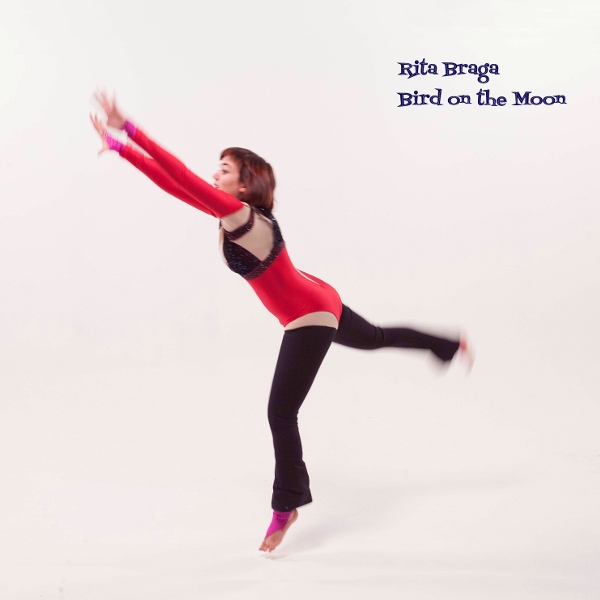 Rita Braga is a singer-songwriter born in Lisbon in 1985, now residing in London. Bird on the Moon is her second release and it is one quirky album. Over the course of 28 minutes and 14 tracks, you will hear lyrics in five different languages: English, Portuguese, Spanish, French, and German. Accompanying herself on ukulele, harp, cheap analog synths, and rhythm machines, Rita’s minimal compositions provide a weird peek inside her mind and her love of old cartoons and movies. Similar to Pascal Comelade’s compositions using toy instruments, Rita’s love of old Casio toy synths and rhythm machines provides a similar vibe. Though Rita is not near as outré as Petunia-Liebling MacPumpkin’s modern take on The Residents, Rita’s songs do provide a change of pace to the sonic barrage of today’s musicians. Rita jumps around from songs with her little girl voice like Joanna Newsome, to oddball tunes similar to Ptôse or Der Plan, to the Kraftwerk influenced “Das Delfinwunder,” to the oompah-esque “Upa Upa (Meu Trolinho),” to the slightly cosmic album closer “A Quantic Dream.” There is even a pseudo-Broadway tune “I Can Still Remember Spring.” Bird on the Moon is definitely not something you encounter every day, but an album well worth investigating.